Space Exploration Technologies (SpaceX) continues operations at a very rapid pace in the month of February. 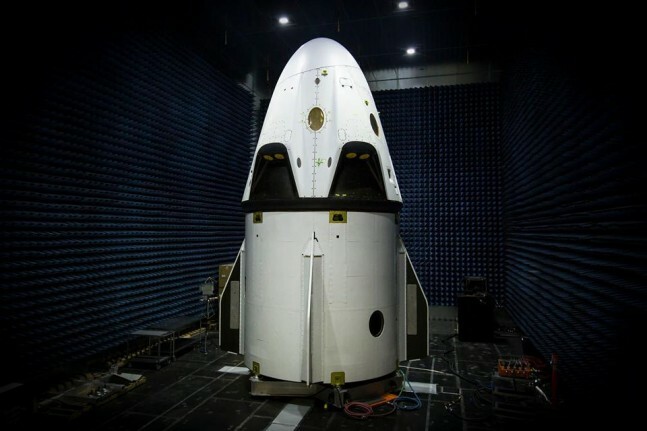 After completing two launches this month, SpaceX will complete the final milestone of a NASA contract by performing a pad abort test of their new Dragon V2 capsule. While SpaceX has declined to give an exact date, it is presumed to be occurring after the launch of two communications satellites – one for Eutelsat and the other for Asia Broadcast. Both satellites are scheduled to be launched on a Falcon 9 near the end of February. A March 4 date has been rumored but it remained unverified at press time. The launch abort test is part of the Commercial Crew integrated Capability (CCiCap) contract between SpaceX and NASA. That contract began in 2012 and was to conclude with a pad abort test in late 2014. NASA granted SpaceX a deadline extension so final preparations could be made. According to the extension, SpaceX has until the end of March 2015 to complete the pad abort test. 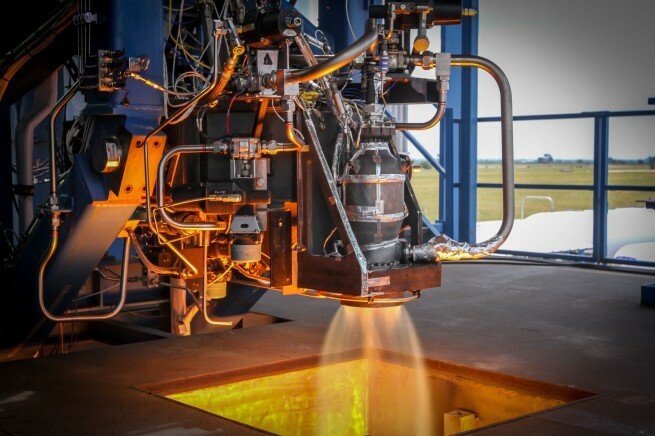 During the test a total of 8 SuperDraco rocket engines will propel the Dragon v2 prototype clear of the launch tower. The Dragon V2 will then shoot skyward several thousand feet, deploy parachutes and land in the Atlantic ocean just off the coast. The SuperDracos produce a combined thrust of 128,000 pounds. In addition to a pad abort, the thrusters could be used on future missions to slow the Dragon v2 for a possible touchdown on land. Initial crew flights will be recovered in the ocean in a similar manner to the cargo version of the capsule. This prototype is a close analog to the actual flight model but will be missing the life support system and the instrument panel. SpaceX plans to include an advanced test dummy embedded with an array of sensors to gather data on stress forces. SpaceX will then analyze the data to determine what impact an emergency pad abort will have on any human occupants. Gwynne Shotwell, President and COO of SpaceX, has stated in press conferences that the company plans to have an unmanned orbital test of the Dragon v2 in late 2016. If that test is a success, a manned orbital test flight could occur in early 2017. SpaceX was one of three winners in the original Commercial Crew integrated Capability (CCiCap) round – Boeing and Sierra Nevada being the other two. Sierra Nevada was eliminated from the competition when NASA down selected to only two companies to work on the next stage of the process, formally known as the Commercial Crew Transportation Capability (CCtCap). NASA plans to let private enterprise handle most of the crew transportation needs for the foreseeable future. Is it likely that an exact launch time will be given? I would like to go watch this.